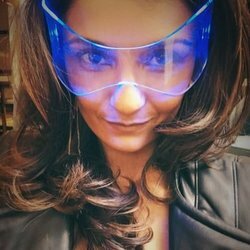 Actress/Singer Anjali Bhimani is best known as the voice of Symmetra in Overwatch and Nisha in Fallout 4: Nuka-World. On TV, fans know her as Nina Patel on Modern Family and Wendy on Cassandra French's Finishing School, and from appearances on such hit shows as NCIS: Los Angeles, Criminal Minds: Beyond Borders, The Sopranos, Law and Order:SVU among many, many others. She can be seen in the new film Trafficked with Ashley Judd, and played pageant queen Pinky Matthews in the hit movie, Miss India America.